"uniting all intentions, and rewarding innovation and contributions..."
"... designed as a form of emulation so that all give their best ..."
"...the National Order of Merit embodies the diversity of French society, its different cultures and social origins, and its new economic sectors..."
Here are some pictures of Gérard receiving the Medal! AOCS could not be more proud to have Gérard as a member and volunteer. Congratulations, Gérard! This month Lipids' editor-in-chief, Eric Murphy, chose to highlight two letters to the editor. Both letters are titled "The Importance of Ethics in Scientific Research," one by Regan Lawrence, the other by Gbolahan Bamgbose. Murphy says the journal works diligently to educate authors on the importance of ethical publishing and demands authors' work meets the highest ethical standards. In their letters, these two first year graduate students present different perspectives on the importance of conducting scientific discovery in an ethical manner. "I hope each of you have an opportunity to read each letter and to gain an appreciation of their insight," says Murphy. "For the public, these letters are important to understand that we do indeed take ethical conduct of scientific discovery seriously and that we are working to build a strong foundation of ethical conduct in the students we train." The Clorox Company has an opportunity in the Advanced Measurement Sciences (AMS) – Analytical Group at their Research and Development Center in Pleasanton, California, for a Senior Scientist in Analytical Chemistry to provide analytical chemical support and leadership to AMS and the R&D community. 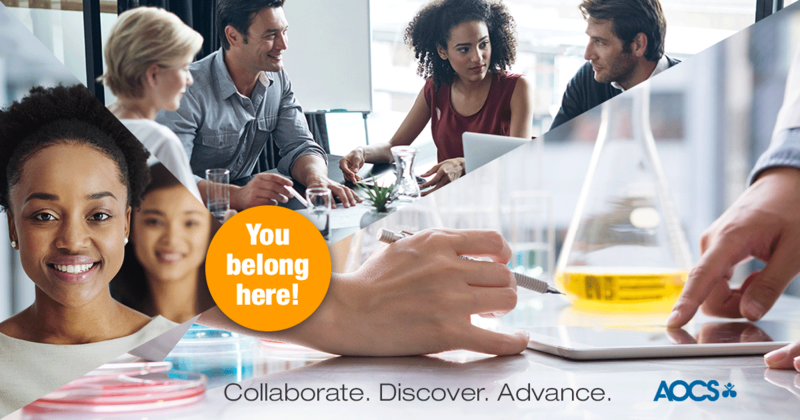 As a Senior Scientist in this group, you will be part of a team growing numerous brands across the Clorox portfolio. This position is for an experienced analytical chemist with knowledge and experience in analytical problem solving and chemical analysis of raw materials, intermediates and finished products related to consumer ,including cleaning products (colloids, surfactants, surface disinfection agents, anti-microbial actives), foods products (emulsions, preservatives), personal care products (cosmetics) or FDA-regulated OTC products (natural sunscreens and supplements and vitamins). Learn more about the position and how to apply.